We've set up an online store where you can buy specially selected official Glut1 Deficiency Foundation merchandise, raise awareness, and show your support for Some1 with Glut1. Shop the store at the link below. 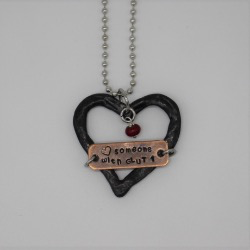 ​Julie Fjell Designs has created beautiful and unique handmade custom Love Some1 with Glut1 jewelry pieces, which are available on her Etsy site. A portion of each sale will be donated to the Glut1 Deficiency Foundation. We also have logos set up on Lands’ End Business Outfitters. The Foundation does not receive any donations or percentages of sales, but it is still a good way to show your support with high quality embroidered products. You’ll need to create an account and sign in before you see the logo options. Register to use these free and easy programs to earn donations for the Foundation through online shopping. Click on the logos below to find out more, and be sure to select Glut1 Deficiency Foundation as your charity of choice. The Glut1 Deficiency Foundation has received several thousand dollars over the years from these two programs. Thank you! ​the Kroger Community Rewards Program. Find out more at their website.